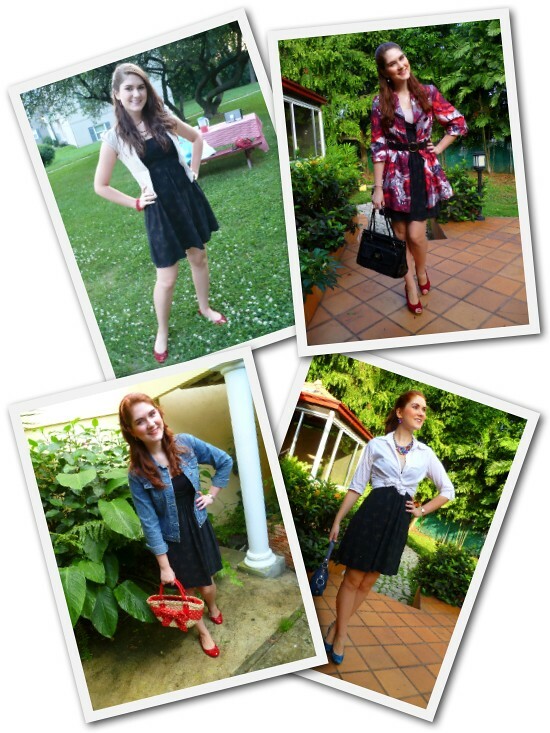 I felt so ladylike and feminine in today's outfit! 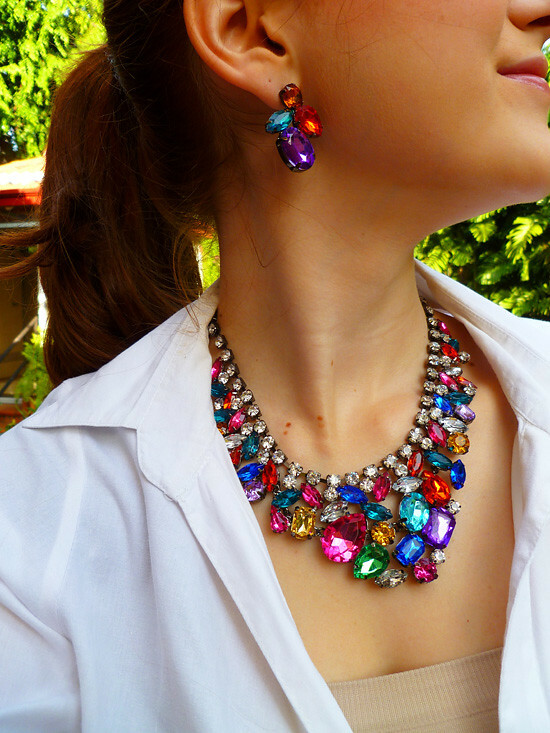 I especially love how the colors of the necklace POP and bring life to my face. 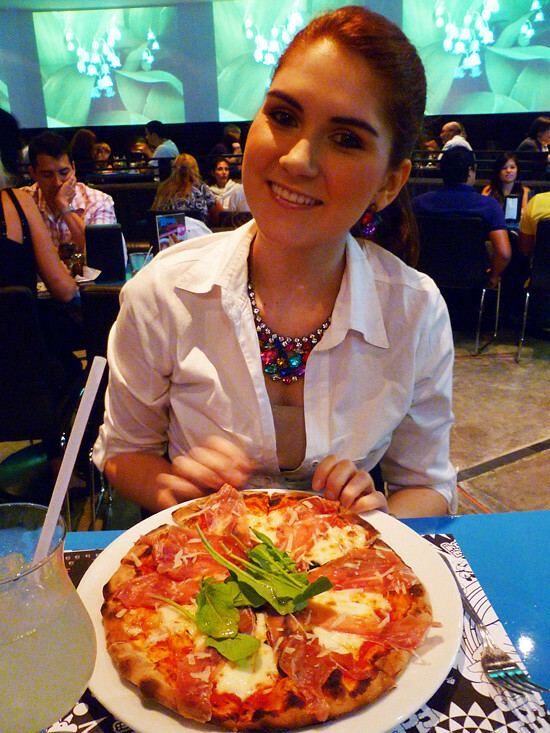 Today I went to a gourmet pizza restaurant with my boyfriend for dinner. I really love experimenting with new restaurants because sometimes you find a really good one like we did today! 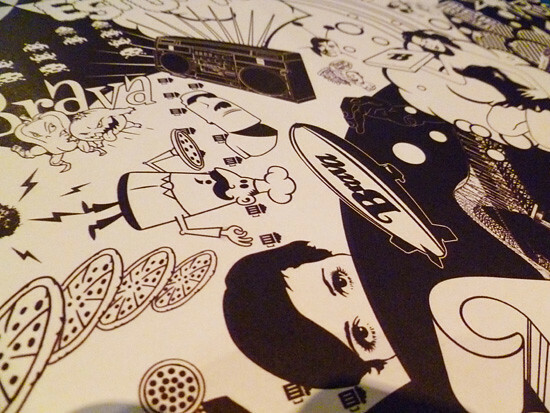 The food was delicious, the service was great, and the decor was awesome! I especially loved this graffiti they had on the table, isn't it cool? 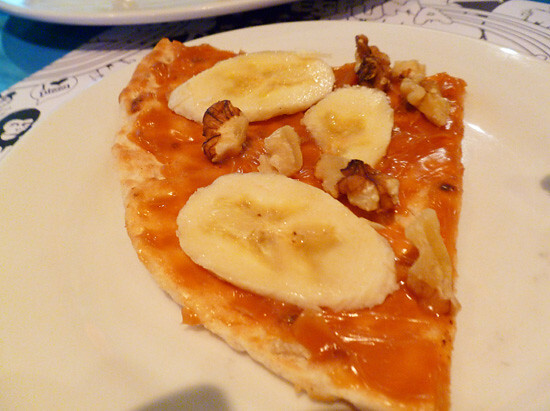 Apart from the delicious pizza, we ordered this really simple yet yummy dessert: A Dulce de Leche, banana, and nut pizza! It was super duper yummy! Oh, btw, a big thank you to the lovely lady from Couture for Christ for giving me a Stylish blogger award. Thank you so much! Hello beautiful :)That necklace sure looks amazing on you!And even though I could go on and on about the amazingness(this isn't a word, is it?can't find something better on the spot) of your outfit, I really love your attitude.That smile just makes the whole outfit 1000 times better.I think I've told you this before, but you are one of the few people that give life to an outfit instead of using the outfit to do that, to give the person who's wearing it life.Have a lovely week! I've never heard of gourmet pizza. But considering I love all things food, I'd love to try it! Oooh I love this jewellery - so fun!